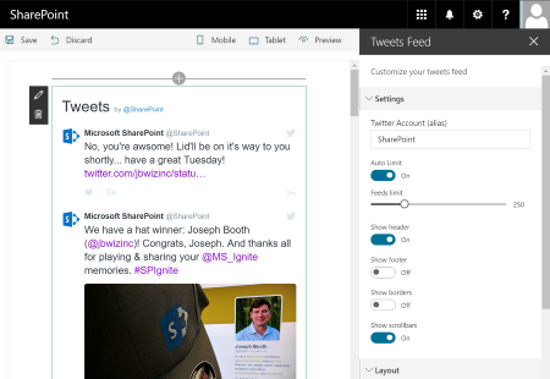 The Tweets Feed Web Part is a SharePoint client side web part built with the SharePoint Framework (SPFx). This web part generates a Twitter Feed on the page, based on the specified account. This Web Part uses the Twitter API to integrate the timeline. This web part uses also the Custom Fields library to enhance the web part edition experience.